Have you ever dreamt of interstellar space travel? 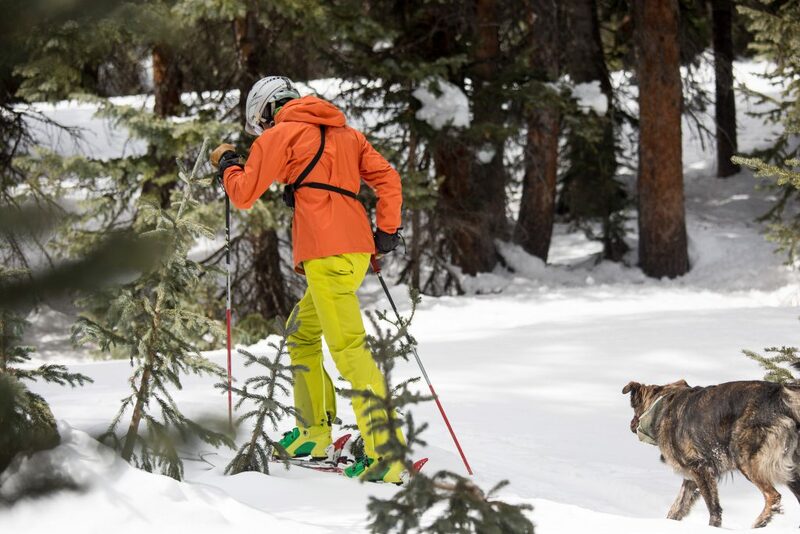 Well, look no further… While travel amongst the stars isn’t available yet, you can climb, ski, ride and travel in a beautiful and thoughtfully designed jacket from Outdoor Research. The Interstellar Jacket. This shell takes you on a journey, much like I imagine a starship would. 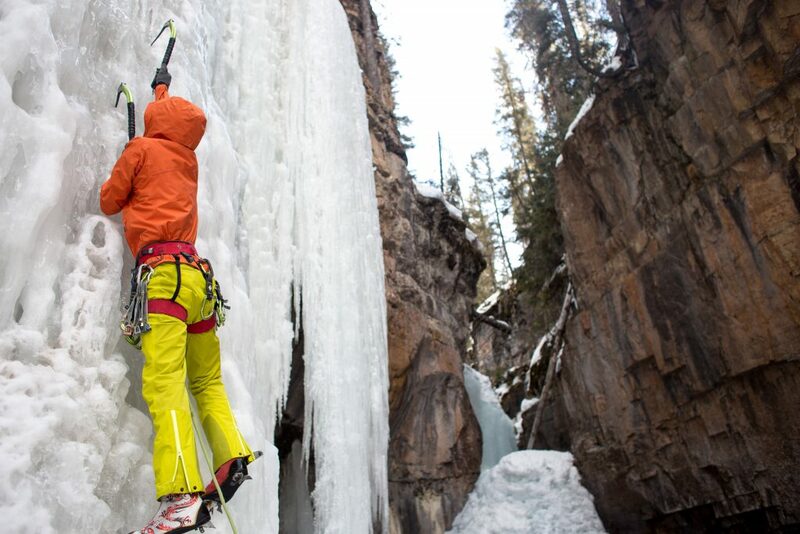 Southern Colorado has proven this season to be a trip, with winter essentially not happening. It was oddly a perfect time to test a shell, so I set off to do a backcountry tour and ice climb with this shell testing a variety of environments in a single day. There are several mottos in life we must adhere to, but one we all know is “start cold, be bold”. This shell blurs the lines of this proven truism. We’ve all been there, questioning our decision of clothing choice at a start of a skin, hike or climb. Only to have proven our inexorable fate of having to stop and delayer while we watch our partners get farther away. This shell sets out to accomplish something rather magnificent. Breathability! 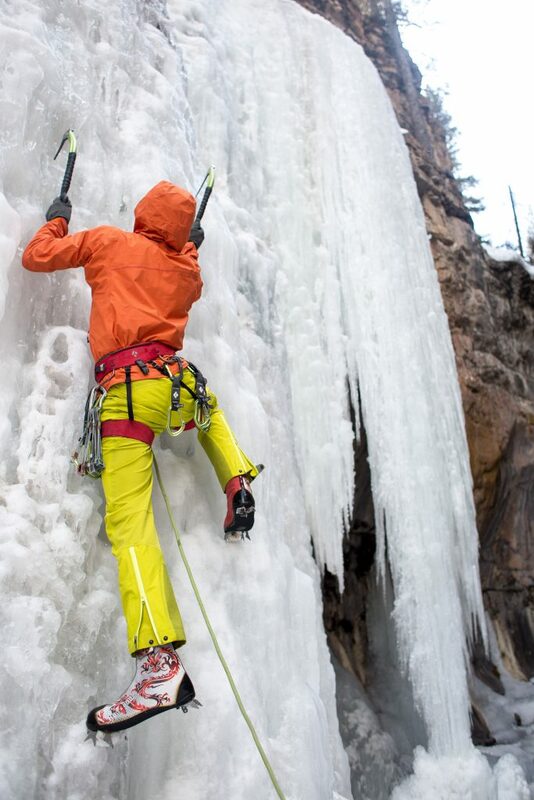 On a beautiful Southern Colorado day, there’s no way I would usually start my day climbing or skiing wearing a shell. My conception of this jacket was tastefully shattered in many ways. Supple, soft, free and efficient are the thoughts that come mind. 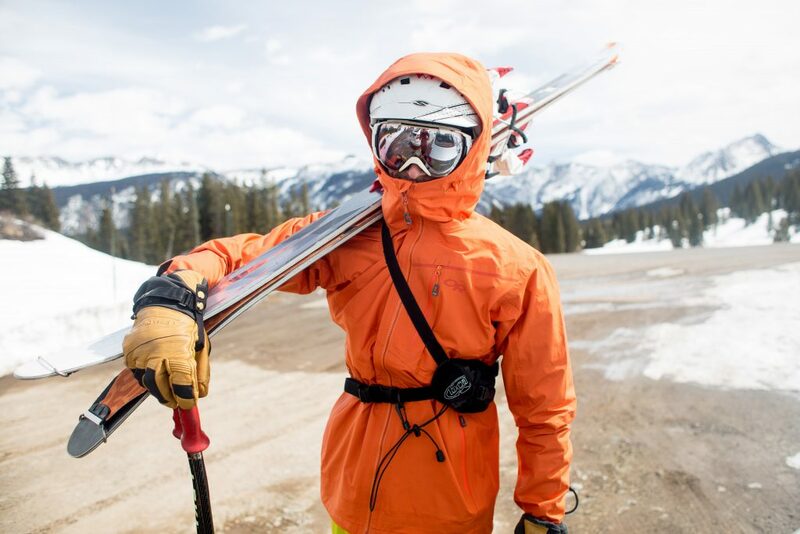 The Interstellar Jacket confuses the line between a traditional shell and soft shell. 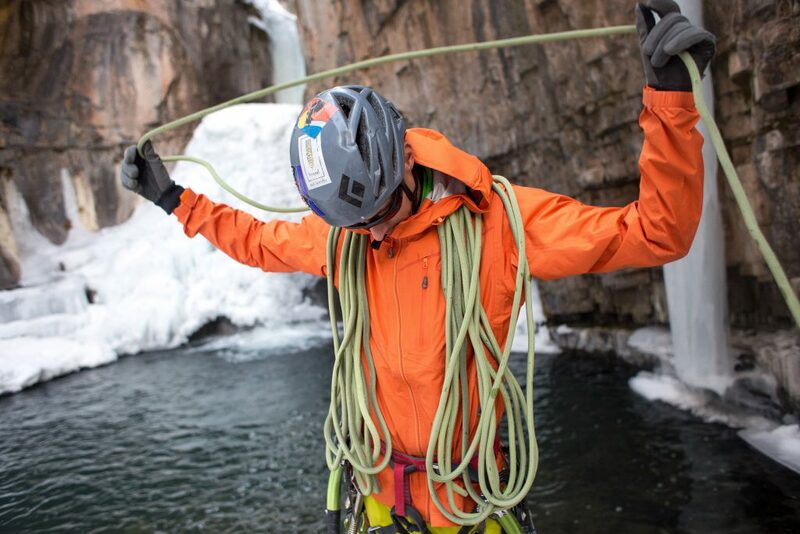 Soft on the skin, yet water resistant to be able to handle a multitude of conditions. The slim fit and attention to detail make this shell attractive. At an affordable price point, coupled with thoughtful design and attractive features, this shell is a win for the high aerobic consumer. It moves fluidly with you, working for you in whatever you’re doing. The Interstellar handled well in the ever-evolving conditions of SW Colorado. 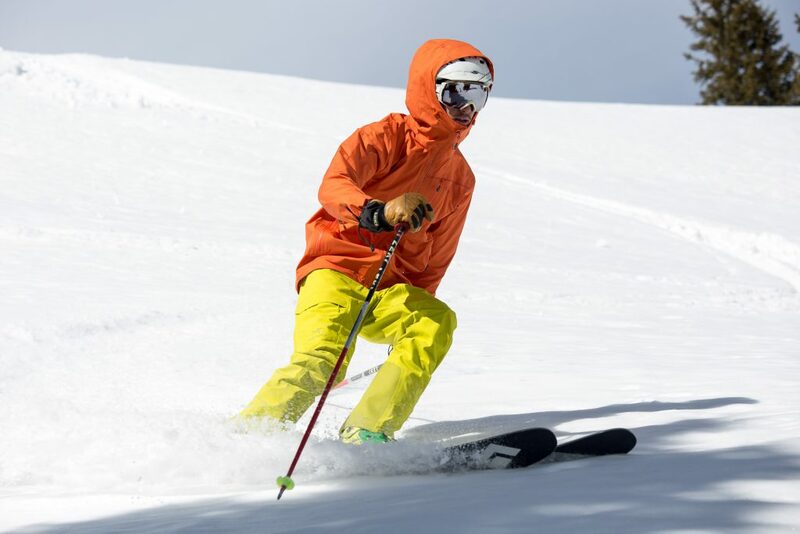 From windswept ridges to shady ice covered canyons to sunny open bowls, a jacket that performs well in all conditions is a necessity. I wanted to start skinning with the shell on, and I didn’t take it off until we were back at the truck. Through wind, sun and high output aerobic activity, I was never uncomfortable nor overheated. When you play a game that involves changing environments, conditions, and settings, it’s exceptional to find a product that fits the holy grail of the “quiver of one”. 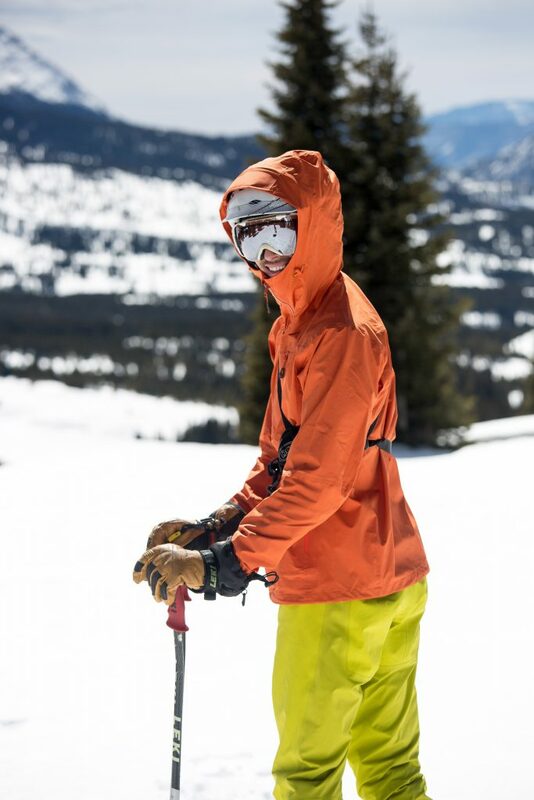 The hood easily fit my ski helmet as well as cinching around my climbing helmet, the balaclava kept my face comfortable when the wind picked up and the breathability and fit kept my enjoyable while I climb pitch after pitch of ice and earned my turns on a sunny day. I struggled to find any dislikes with this shell. The only things I’d like to see are dual breast pockets and more accessible pockets while wearing a harness. Small details in an otherwise exceptional shell. 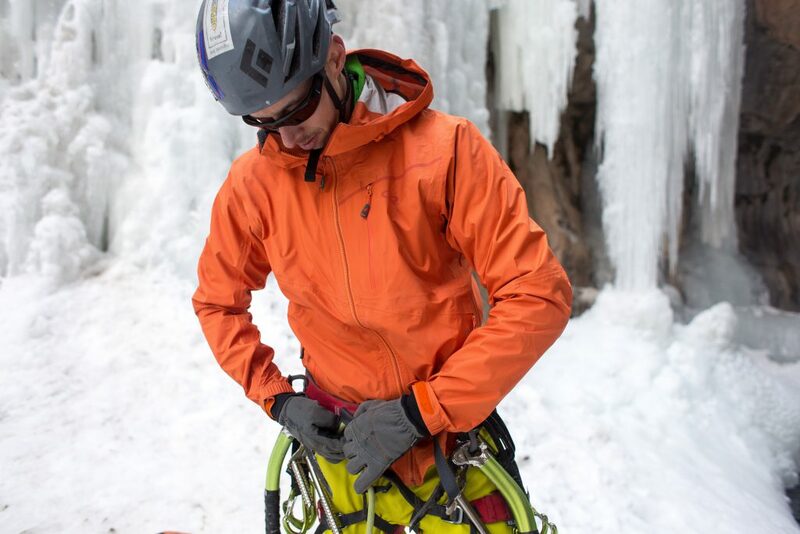 Shop the Outdoor Research Interstellar Jacket on Outdoor Prolink. Not a member? Apply today! 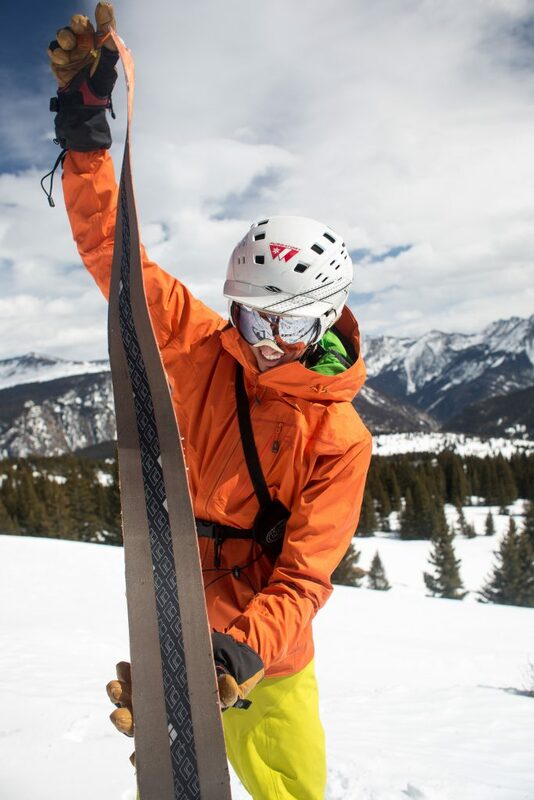 Joe Anderson is an Emergency Room RN/ Flight Medic and has been a Ski Patroller in Durango, CO for 12 years. 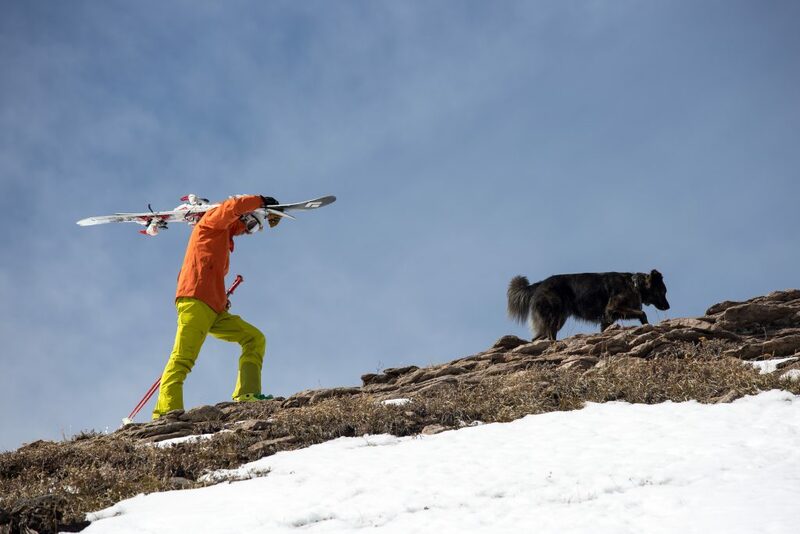 When not at work flying around the Four Corners Region in a helicopter, he spends most of his time off high above the ground climbing or chasing the sunny weather looking for the next pitch of rock, ice or pristine slope to ski.